It rises in southwestern Bulgaria, surrounded by high and low valleys and fields. The east: River Mesta’s Valley, Abram saddle /1295 м/ , separating it from the Rhodopes, river Banska, Undola and river Iadenica. 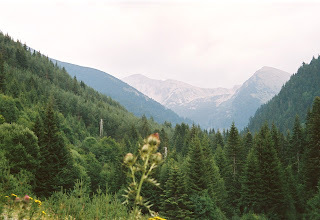 The north: the Dolnobansk field, the Borovesk saddle /1305 / , the Samokov Plain, river Cherni Iskar, the Klisura Saddle /1025 м./ , separating it from Verila , river Dzherman and the Stankedimitrovsko field. Within these limits, it covers an area of 2629 square km, as its average altitude is 1487 meters, therefore it belongs to the high mountains and it is with highly alpine character. 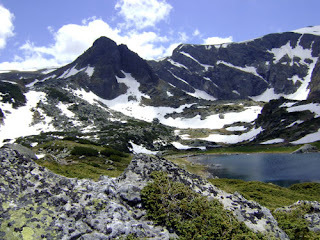 Rila is the highest mountain in Bulgaria and the throughout the Balkan Peninsula. They are concentrated mainly in Malyovitsa share. 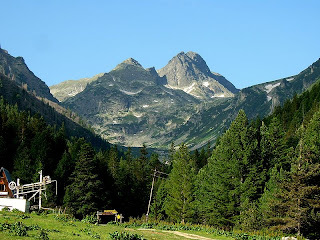 Malyovitsa is a peak and ski resort in the northwestern part of the Rila Mountains in southwestern Bulgaria. It is 2,729 m high and is one of the most popular tourist regions in the mountain. The Rila Monastery is situated at its southern foot, and Malyovitsa Ski Centre — with two downhill tracks and two ski drags — is to the north. The main starting point for treks in the region is Malyovitsa Hut (at about 2 hours walk from the top of the summit). The Malyovitsa region is the cradle of Bulgarian rock climbing and mountaineering. The first organized expeditions were made in 1921-22 by tourists from the town of Samokov. The imposant north wall of the summit was first climbed in 1938 by Konstantin Savadzhiev and Georgi Stoimenov (about 200 m, grade UIAA V+). That was the greatest success of Bulgarian climbers for its time and is deemed as the date of birth of Bulgarian mountaineering. Later other walls in the region were climbed too with the most difficult routes being made in 1970s. In the last 15 years, Malyovitsa region has become very attractive rock-climbing district with the possibilities it gives for mountaineering and sport rock climbing. Other interesting walls and summits are: Zliya Zab (200 m wall with one of the most famous climbing routes in the country — Vezhdite), Dvuglav (a 450 m high wall, with climbing routes often over 500 m long), Iglata, Dyavolski Igli (several aretes with the hardest climbs in the region), Ushite and others. A wall that is available for not so experienced rock-climbers is "Kuklata". 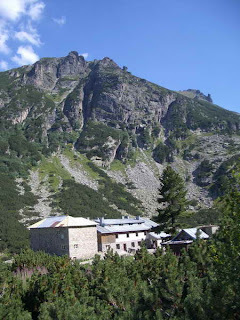 It is situated across Malyovitsa hut, 10 minutes walking, and the main part of its tours is bolted.